Former Vice President at Coldwell Banker, 35 years experience running businesses. Gary's management experience and business expertise in running companies for over 35 years serves Shark Wheel’s vision of a professionally structured company that looks to establish itself as a major player in the energy industry. Gary has served as the Senior Vice-President and Regional Manager for the world’s largest real estate company, Coldwell Banker. He is a well-established business guru that has developed real estate offices into number one producers. He has also been a successful concert promoter holding major events at the Hollywood Bowl. Gary is a self-made success as a real estate office manager as well as business course designer and motivational speaker. He also developed the first NFL independent website for the then L.A. Raiders football team over 15 years ago. As the manager of the Palos Verdes Estates, Malaga Cove Coldwell Banker, Gary has worked at Coldwell Banker for over 20 years (1997). Gary is a leader of companies and has been for decades. Gary is the original financier of Shark Wheel and is committed to exceeding the company's potential. Gary is involved in all Shark Wheel negotiations and business dealings. Bachelors degree in recreation (1968) and masters in special education (1972) and minor in psychology at LA State University (now CSULA). Inventor of the Shark Wheel and the 4sphere turbine, David is on his third startup company. David previously was the founder of Proventedge Technologies, a California software company focused on the mortgage banking industry. Prior to creating his software company David was the founder of California Capital, a mortgage banking firm. David currently serves as the Chief Technology Officer at Shark Wheel. He is a one-of-a-kind inventor and discovered a fundamental shape inherent in Nature’s motions. David believes in the phrase 'innovate, never imitate' and he is constantly in development on various wheel applications and improving the existing design for new generations of release. Shark Wheel is David’s third startup company. His first company, Pacific Western Financial did loans in the state of California. Eventually Pacific Western became California Capital, funding tens of millions of dollars in mortgage backed loans all across the United States. During this time, David's internal systems led his company to be successful and he was a leader in his industry, revolutionizing many key processes using technology instead of manual systems. Once the company was sold in 1997 David took the technology he developed and founded the Provantedge Software company. The software was designed for the entire mortgage banking industry and was a true end to end solution. Provantedge processed all types of loans from FHA, VA, Conventional and all others for all 50 states. The software that he designed along with his partner was light years ahead of his competitors and was the first of its kind to introduce many new technologies. He sold his advanced software to companies including Boeing Employees Credit Union, Ford Employees Credit union and many other financial institutions. Provantedge was also the first company to successfully submit loans to Freddie Mac when the industry was in its infancy. David was instrumental in inventing an all in one system that revolutionized the industry by being the first to use XML standards. His software is still in use today. David was the founder at Provantedge along with his partner David Hall and worked on this project and company from 1997-2003. David also served as inventor and CTO at 4sphere, a novel wind and water turbine company that was picked up by the Los Angeles Cleantech Incubator as its resident portfolio company for turbines in 2012. David attended Orange Coast College with an engineering focus but left to pursue a career as an entrepreneur. Third startup company as Chief Operating Officer. Pro tennis player for 10 years. 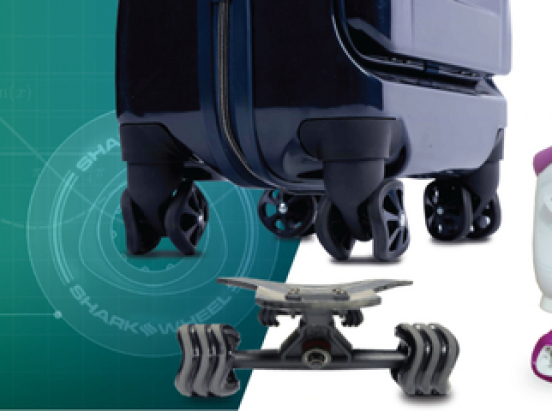 Handles day-to-day operations for Shark Wheel. Zack brings tremendous strength to the Shark Wheel management team. Ranked #11 in the United States on the ATP Professional Tennis Tour, he proved that he is no stranger to hard work, sacrifice, and success. Having been a professional athlete for over ten years (2000-2011 with 4 injury-riddled seasons) instilled in Zack a tremendous work ethic and attention to detail. While on the ATP Tour, Zack started his own company, Z Management, which turned into one of the most successful tennis instruction businesses in Southern California. Z Management has created junior champions, adult champions and has secured many scholarships to various universities. Zack began by getting Shark Wheel into the Los Angeles Cleantech Incubator as one of its resident portfolio companies. It was there that Zack chose to launch a Kickstarter campaign (2013) to bring the Shark Wheel idea to the masses. Zack handles the business operations for the company including patents, grant writing, Zack also served as Chief Operating Officer at 4sphere, a novel wind and water turbine company that was picked up by the Los Angeles Cleantech Incubator as its resident portfolio company for turbines in 2012. Attended UCLA with business and economics major. $250+ 25% off anything on SharkWheel.com for one purchase. $1,000+ 50% off anything on SharkWheel.com for one purchase. $10,000+ If you invest $10,000, you will receive all of the above including a personal meeting with David Patrick, see incredible Shark Wheel applications in development and listen to David's scientific discovery that led to Shark Wheel's conception. Location in Lake Forest California. Lodging and transportation not included. $50,000+ If you invest $50,000, you will receive the above plus free luggage.